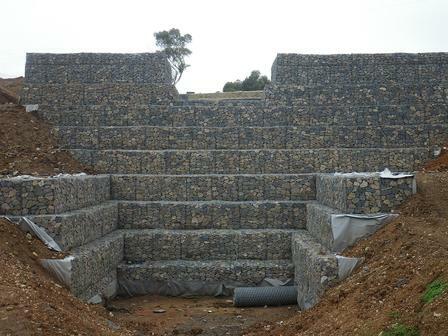 They are commonly used with moderate slopes up to 10% and positioned in series with a typical spacing of 25 -100 yds. apart. These dams are either constructed straight across the channel or in a crescent shape with its open end upstream. 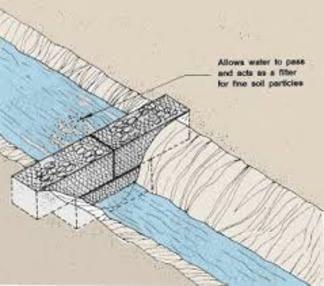 The crescent shape check dam is commonly used to allow a longer spillway than is possible with a straight one. 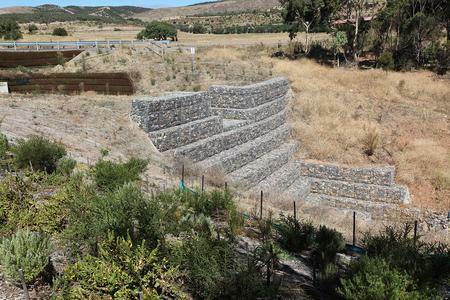 At the same time it anchors and protects the ends of the dam. 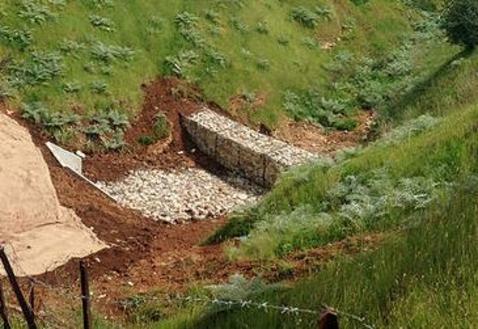 An offset equal to about one-sixth of the gully's width at the dam site will generally provide sufficient curvature. 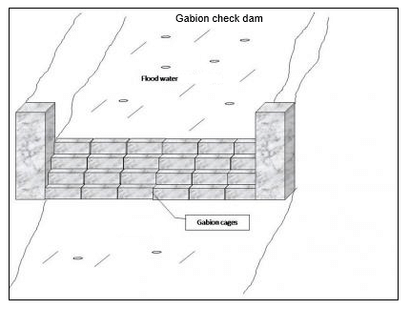 The gabion baskets should be securely wired to a row of posts set along the curve of the dam at about 3 ft intervals. 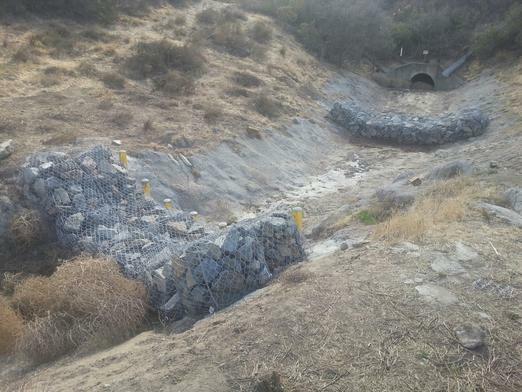 Posts should be placed to form an interval near the center of the gully for the central portion of the spillway.